All D&M Auto Body employees know the importance and value of our customers. They are dedicated to customer satisfaction and our company’s core values. Many members of our team have been at D&M for over 20 years. Each staff member is extremely experienced in delivering the quality repair work and customer satisfaction we are known for. The technicians of D&M are I-CAR trained and ASE certified. Employing trained technicians assures that we know how to properly and accurately repair today’s complex vehicles. This means we keep you safe, while also protecting the value of your vehicle. We have created and maintain an organizational culture that attracts and retains intelligent and talented employees. Our team has been empowered at every level to consistently deliver the highest level of quality and customer satisfaction. This practice has resulted in over 30 years of solid performance dedicated to our customers. 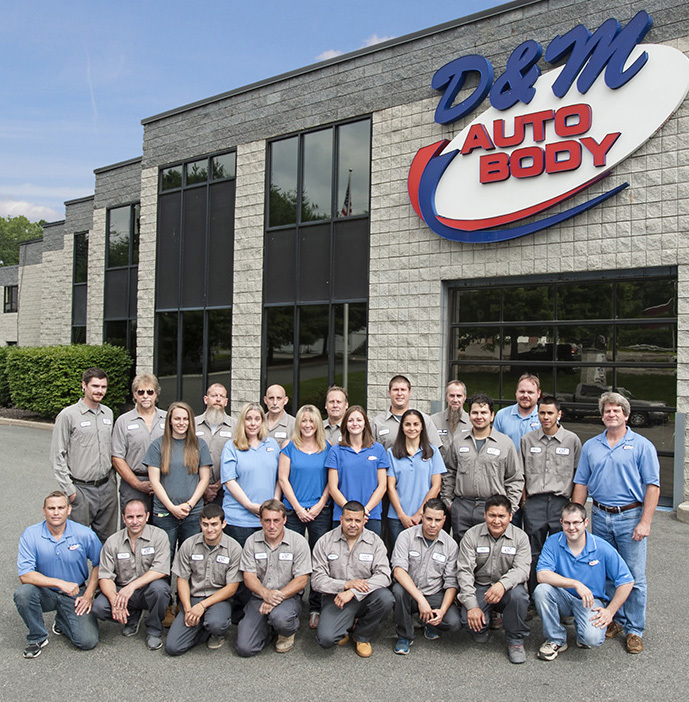 To continue our long-term success, D&M Auto Body offers learning and career opportunities. Our organization and our employees are encouraged through a stimulating environment that improves the quality of our lives and theirs.